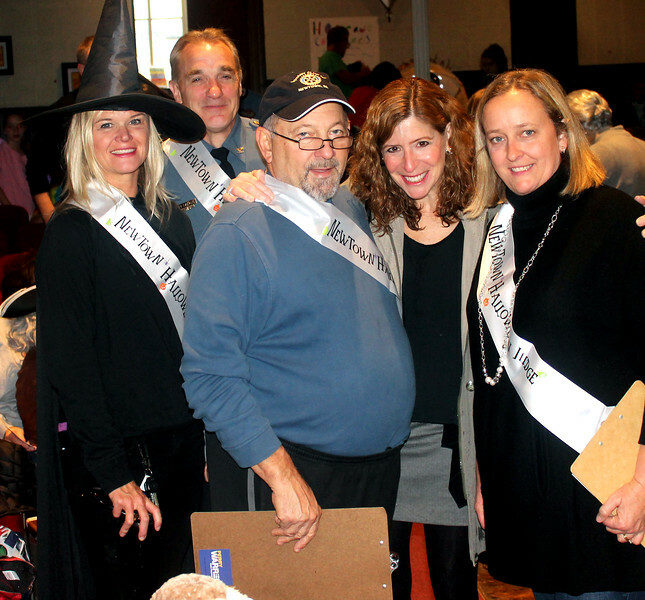 Juding the costumes this year were Heather Lewis, Police Chief James Sabath, Paul Salvatore and Liz Warren. Joining them, second from right, is Shari Donahue from the Zebra-Striped Whale, who donated free ice cream cones for all the costumed kids. Mayor Charles Swartz judged the Borough Award and the Mayor's Trophy categories.